Spying on Blizzard’s jobs page, as many of us journalists do religiously, is a bit like watching a statue being slowly, meticulously moulded in clay. Last summer, their next project was an amorphous blob. We could just about make out that it was going to be in first-person. By Christmas, some of its features had become recognisable as vehicles. And now, the game is beginning to take on the definition of a PvP shooter unrelated to Overwatch. 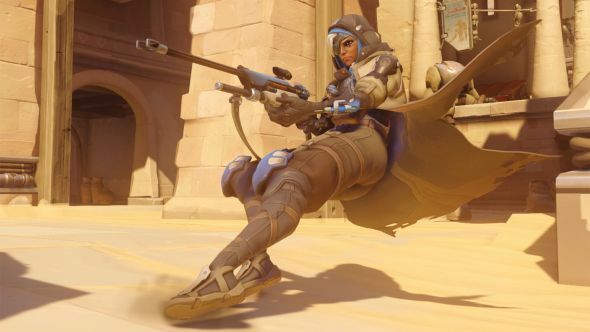 Here’s why Blizzard won’t make its Overwatch PvE events permanent. This time, the final shape of that statue has left me a little disappointed. Not that Blizzard don’t know how to make a wonderfully inventive PvP game – nobody else does it better. 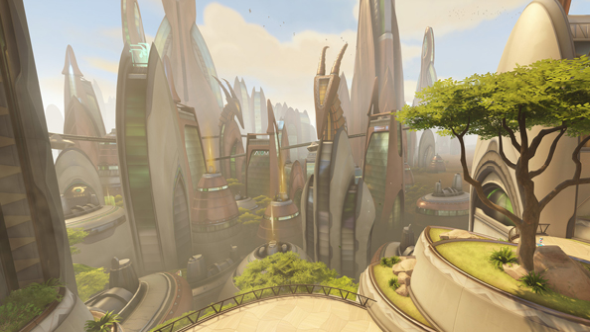 But ever since the earliest screenshots of Overwatch’s maps, I’ve been convinced it deserves a spin-off – a single-player shooter where its worldbuilding can really breathe. 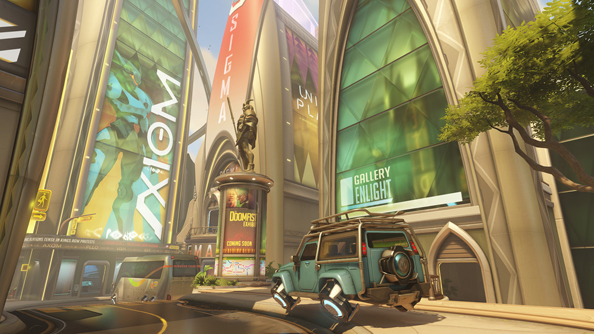 From the beginning, Overwatch’s maps have worked harder than they’ve needed to. Stocking the counter of Kofi Aromo with detailed doughnuts and muffins isn’t exactly first priority when players are barrelling past during the game’s hectic, 15 minute matches. Other game genres stand to benefit from the world Kaplan and his team have built. Single-player shooters, especially, still lean towards the dystopian. Frankly, it’s no longer a fascinating thought experiment to imagine the planet sliding in the wrong direction, socially or politically. Surely, in a time of real crisis and upheaval, it’s braver and more inventive to dream of a world that’s recognisably ours but better. Blizzard’s storytelling has long-tended towards optimism. It’s this quality that distinguished Warcraft and StarCraft from the endless war and dark age ignorance of Warhammer, even when the orcs looked like orks and the marines like space marines. And Overwatch’s world is their most optimistic yet, because it finds positives in our own future here on Earth. Yes, we join the fight at a time of conflict – conflict makes for good stories, after all, and you’d be hard-pressed to make an FPS without it. But Overwatch, the organisation, have already ended a global crisis once. Through international cooperation they brought about world peace and maintained it for decades, enabling a new golden age for humanity – a time of exploration, invention, and scientific discovery. When Mei says, “Let’s fight for a better world,” listen to the tone: that’s not blind hope. She’s got a magic climate change reverser strapped to her back and she knows it works. That positivity isn’t just in the people; it’s baked into the places too. It was Numbani that first sold me on Overwatch’s world, and made me desperately want an Overwatch Deus Ex. When games have been to Africa before, it’s been to contribute to the chaos of a failed state in Far Cry 2, or to fill African zombies with lead in Resident Evil 5. 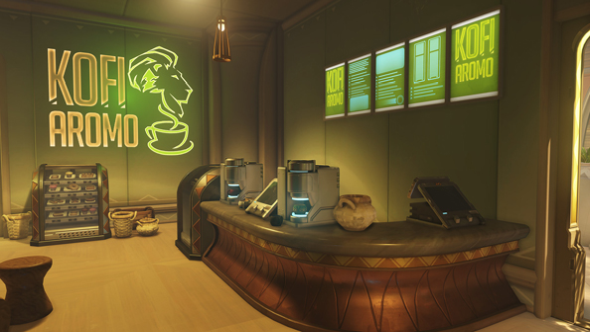 But I want to go to Numbani, the City of Harmony, where humans and AI live together as equals – a true utopia on the edge of the savanna. 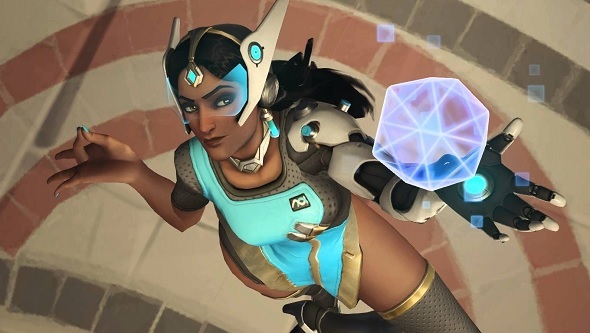 It’s testament to Overwatch’s post-post-apocalyptic vision that its robot uprising has already happened and, here at least, both sides have gotten over it. Humans and omnics built this city together, and made it a centre of technological advancement. The parallels with Wakanda, the technologically sophisticated, uncolonised African kingdom which wowed audiences of Black Panther this year, are obvious. Gaming, too, deserves to explore a future that doesn’t only belong to the West, and the best place to do it is in single-player, where we can wander the streets, read the papers, and eavesdrop at our own pace. Blizzard might not be the game industry’s most nuanced storytellers, but they have hired nuanced storytellers before: Leonard Boyarsky, Fallout co-creator and project leader on Vampire: The Masquerade – Bloodlines, was Diablo III’s lead world designer for a decade. I dare say they could lure other established writers again, capable of scripting a stunning RPG-shooter around Overwatch’s lore. Meanwhile, the popularity of Retribution has proven the appetite for PvE in that universe. I’m not going to go as far as saying it makes good financial sense, but come on Blizzard. Listen to the dreamy musings of 2016 Jeff Kaplan. Listen to me. You can afford it, and the world of Overwatch deserves its first single-player outing.